Lincoln, Neb. — A new exhibit at the Nebraska History Museum will celebrate female crafters and entrepreneurs of Nebraska. “Crafting Culture: Women and the Business of Textiles in Nebraska” is a partnership between the Department of Textiles, Merchandising & Fashion Design at the University of Nebraska—Lincoln, the Asian Community and Cultural Center and the museum. The exhibition runs from April 12 – July 13, at 131 Centennial Mall N. in Lincoln. Crafting Culture celebrates both past and present contributions of entrepreneurial women to Nebraska’s textile and clothing industries. The exhibit presents textile-related crafts made by contemporary women – both immigrant and long-term Nebraska residents – alongside historical artifacts and images from the Nebraska History Museum’s collections. Interactive features invite broader audiences to develop their own ideas for textiles products and related public programming extends opportunities for cross-cultural exchange to members of the community. 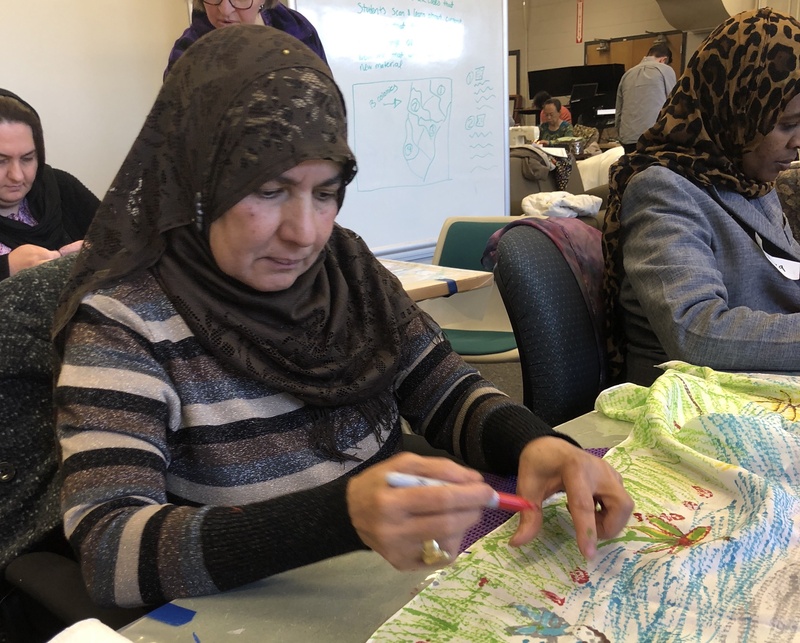 The exhibit is based on the Spring 2018 Crafting Culture outreach and research project, which was a collaborative workshop series intended to foster social connections between immigrant communities and long-term Nebraska residents, while developing craft-related and entrepreneurial skills among immigrant communities. Extension curriculum is currently being developed for communities to create similar workshops across the state. The admission to the museum is free. For more information about the exhibit, click here. The project was initiated by Claire Nicholas, assistant professor, and Surin Kim, assistant professor and extension entrepreneurship specialist, in textiles, merchandising and fashion design, in partnership with the Asian Community and Cultural Center, the International Quilt Study Center and Museum, the Lincoln Modern Quilt Guild, the College of Education and Human Sciences Design Studio, Nebraska Innovation Studio, and the Nebraska History Museum. Support was provided by grants from the Pearle Francis Finigan Foundation and Humanities Nebraska.